Visit Tuscaloosa Toyota in AL ‐ serving Birmingham, Columbus, and Jasper ‐ for professionally installed Genuine Toyota tube steps and side moldings, and add convenient, safe entry to your vehicle's cabin. 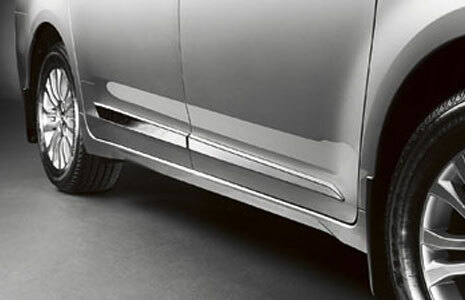 Available in either bright chrome or your vehicle's paint shade, professionally installed Toyota side moldings create visual enhancements to the exterior, as well as a protective barrier against flyaway roadway debris. 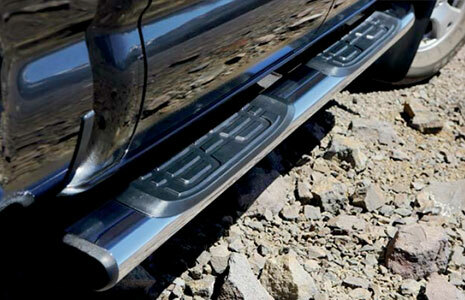 Tube steps are especially useful for pickup truck drivers, as they create fluid motion when entering and exiting the cabin. Each step is a five inch oval that has a dual-molded, skid-resistant pad on each side to provide secure grip for your shoe as you step. Made of a durable, lightweight material, steps feature chrome plating or a black powder finish and are chip and rust resistant.